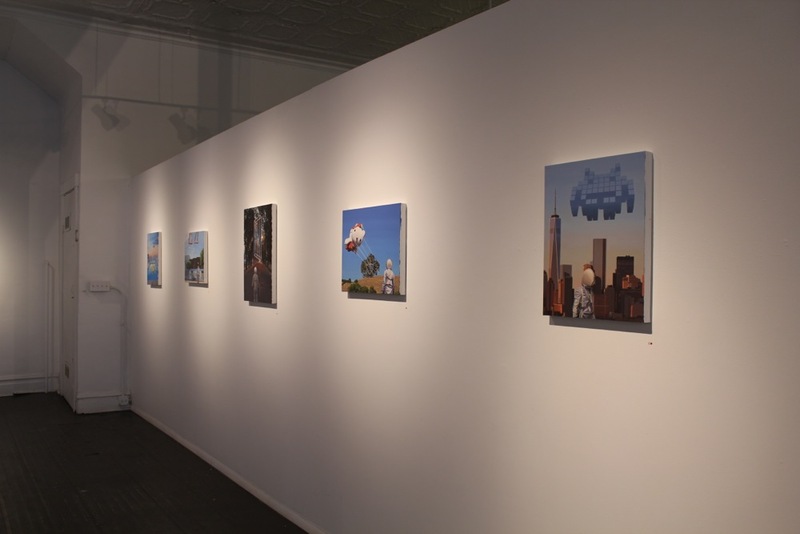 Please Note: Works from this exhibit have been returned to the artist and are no longer available to purchase from our gallery, sorry! 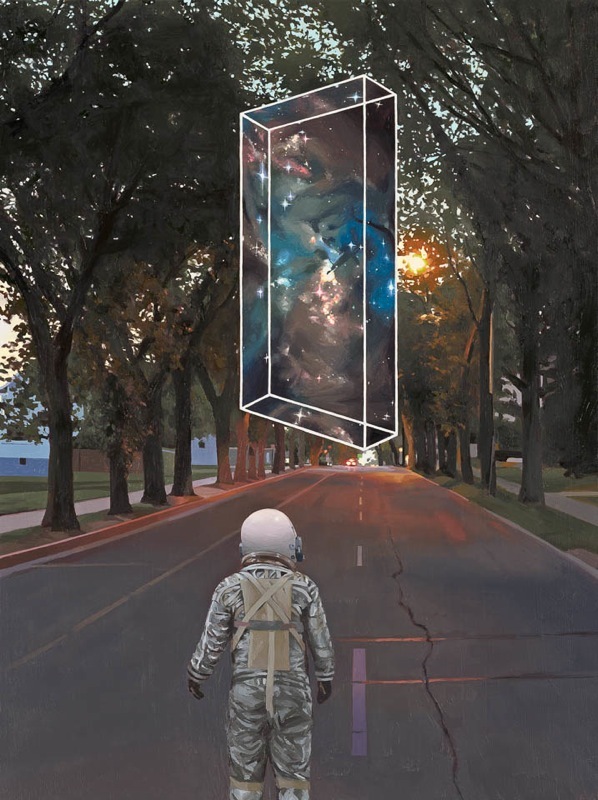 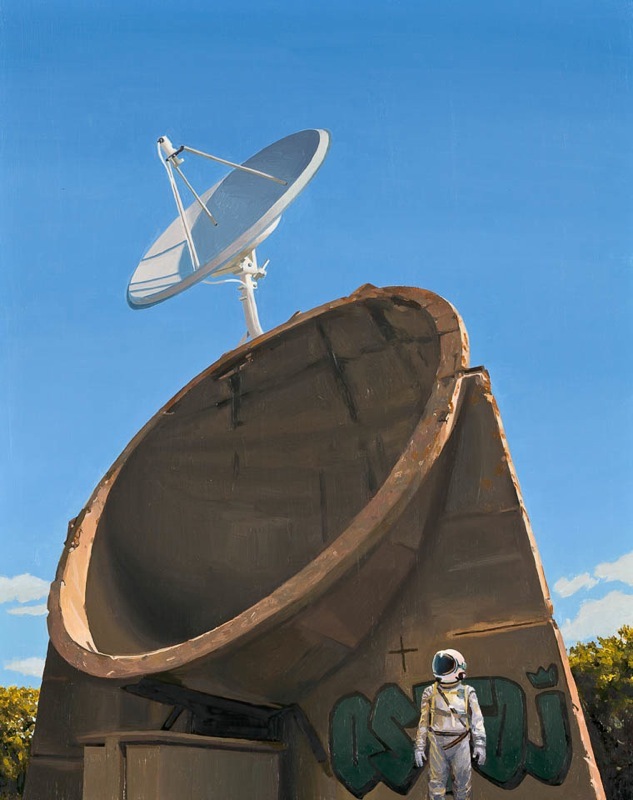 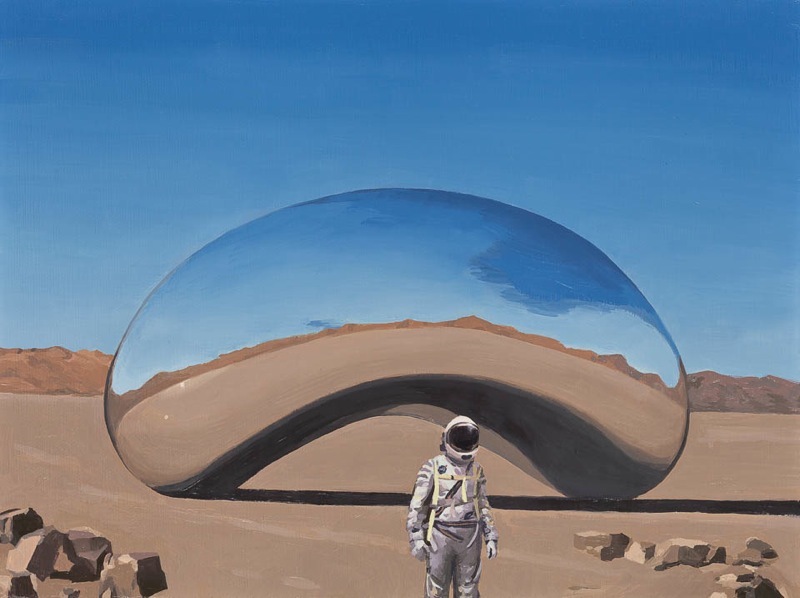 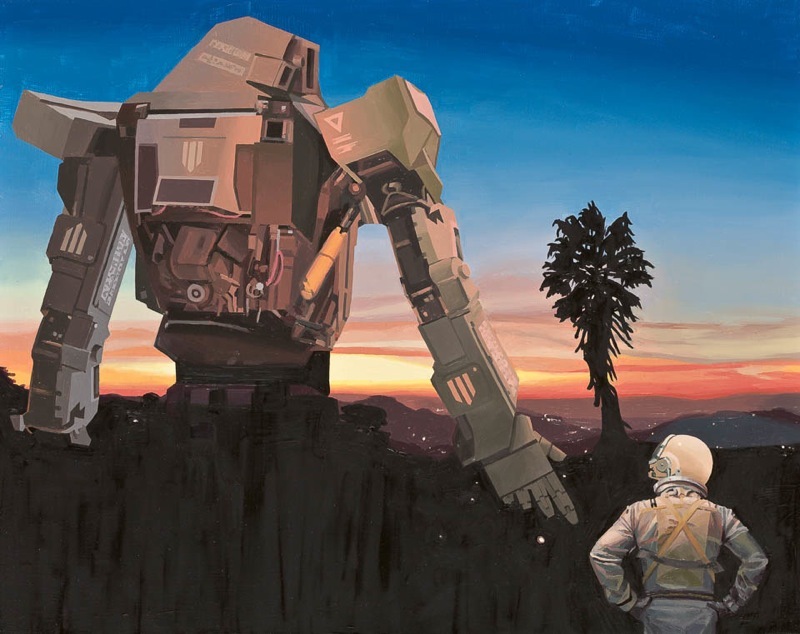 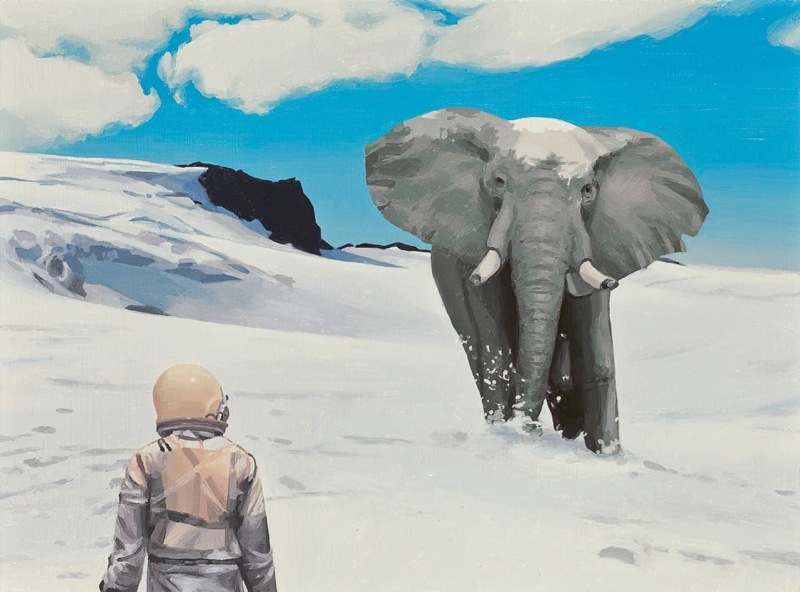 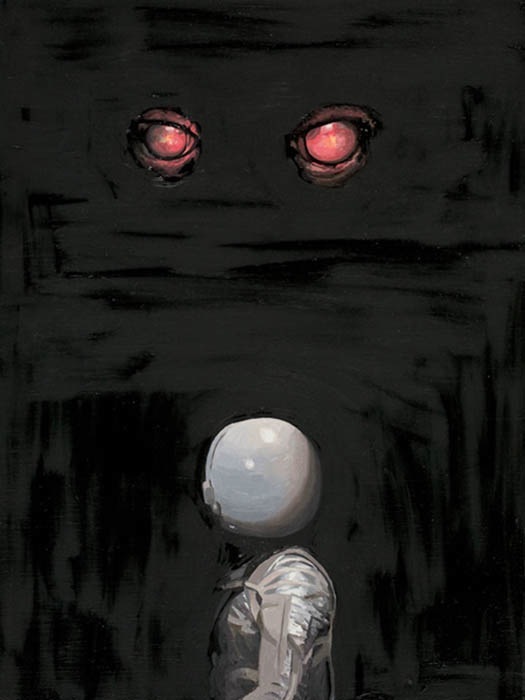 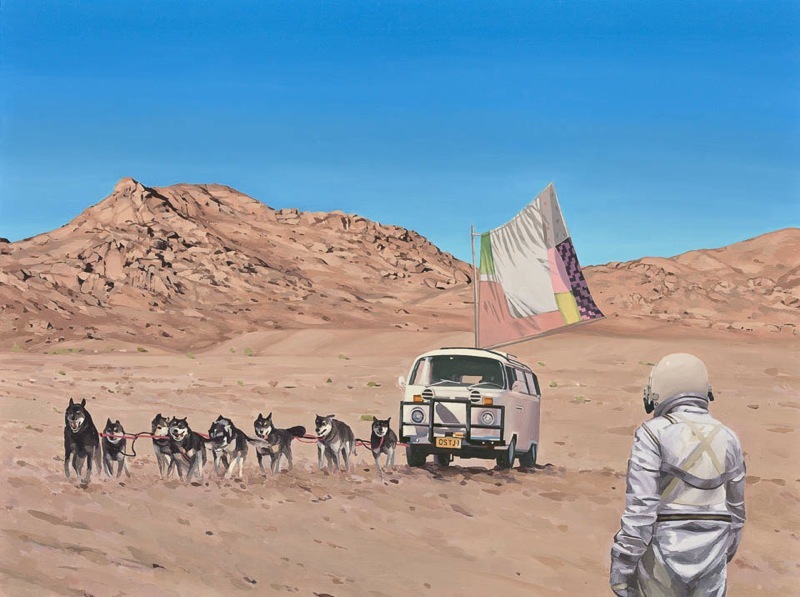 Scott Listfield (b. 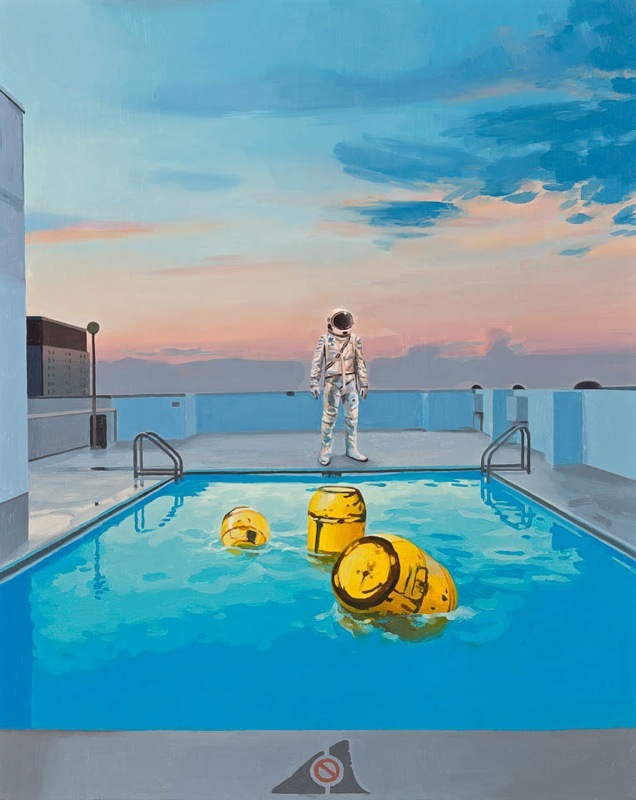 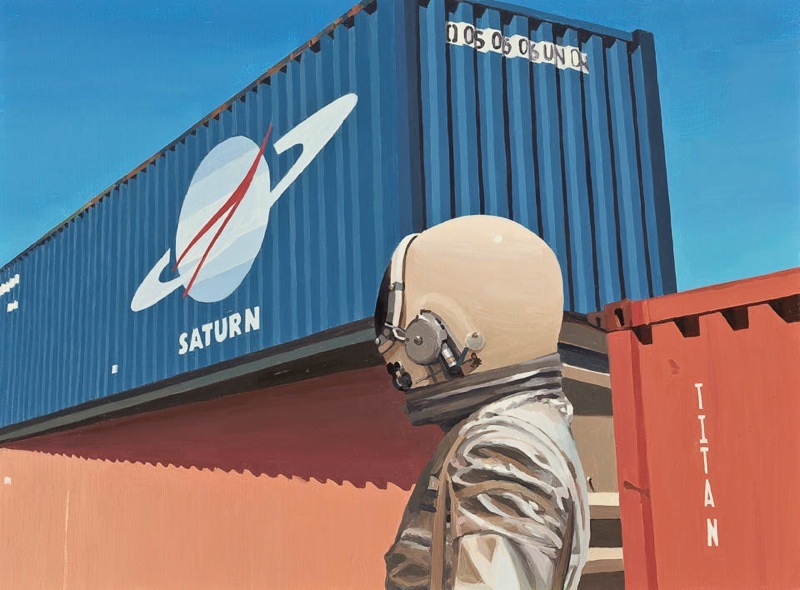 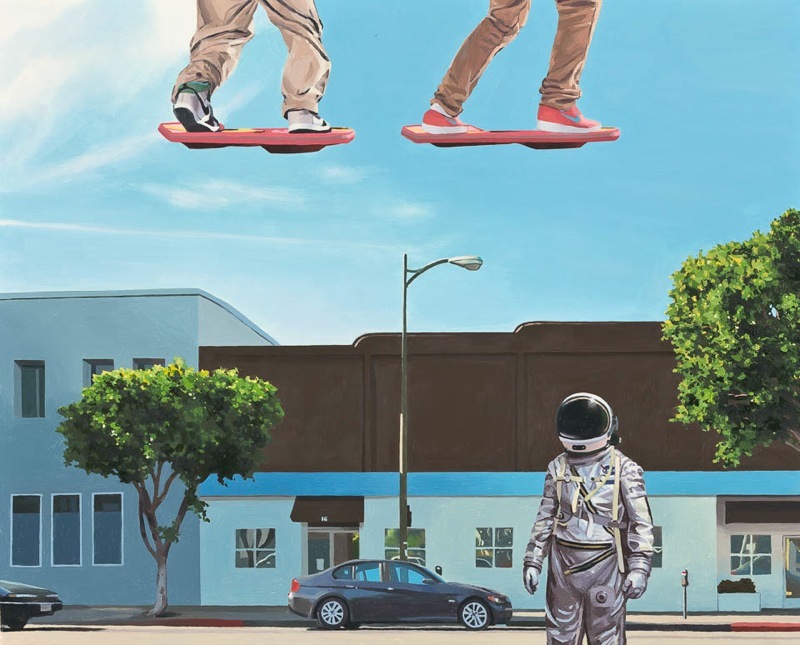 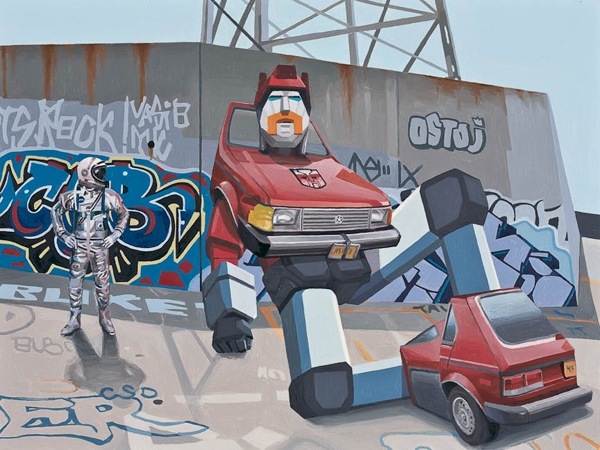 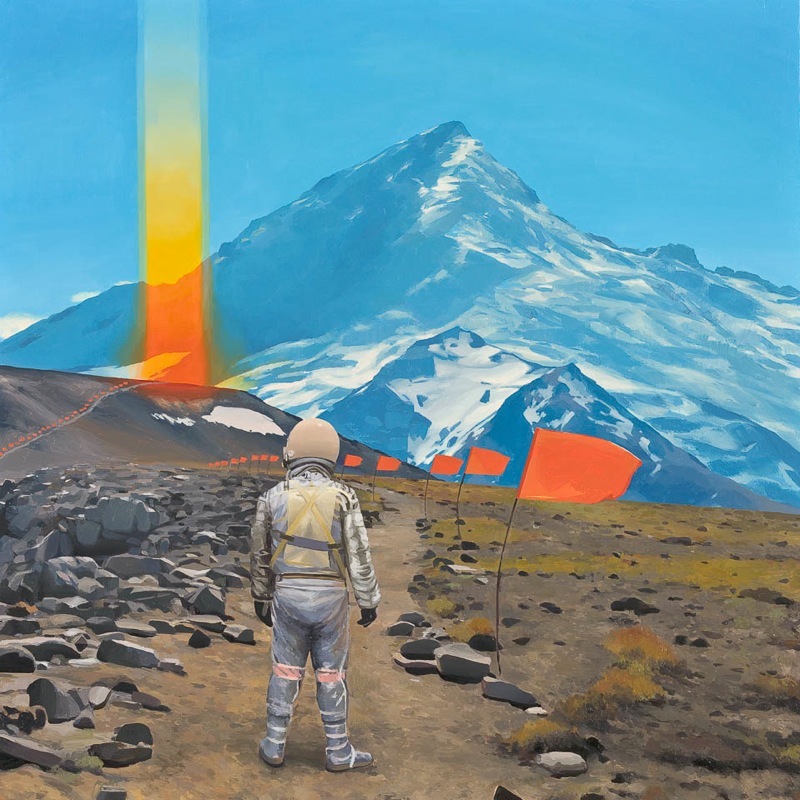 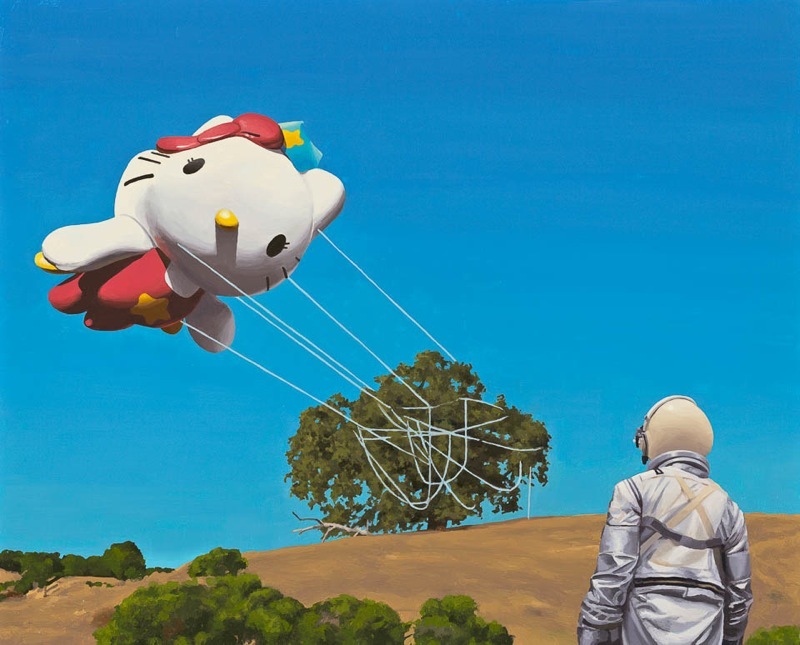 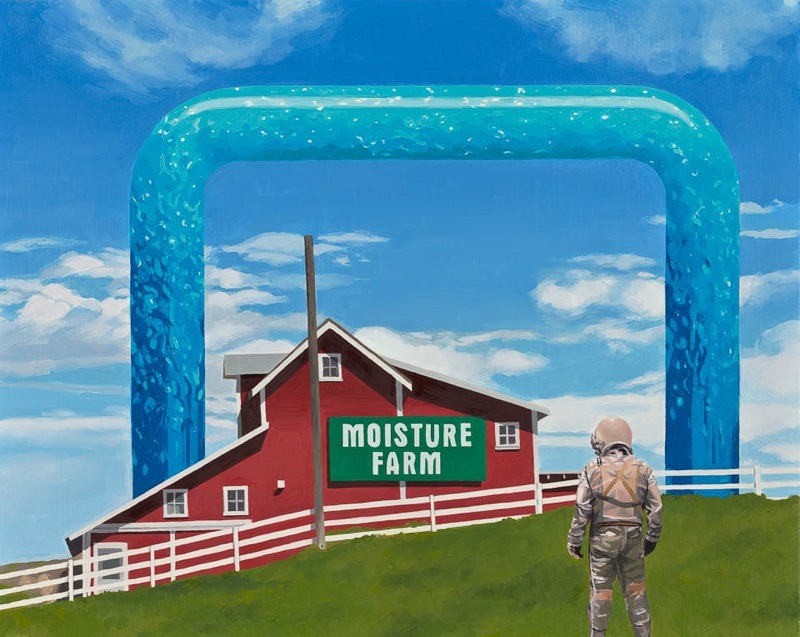 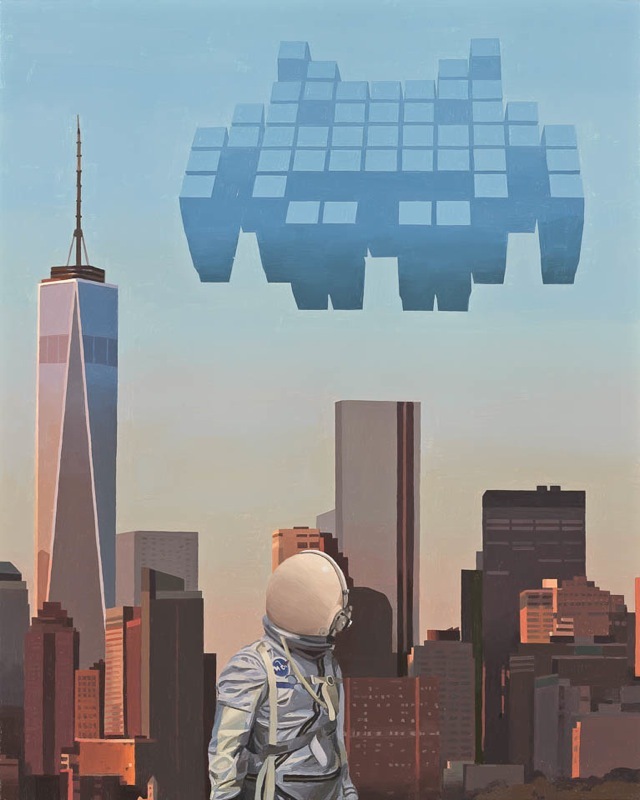 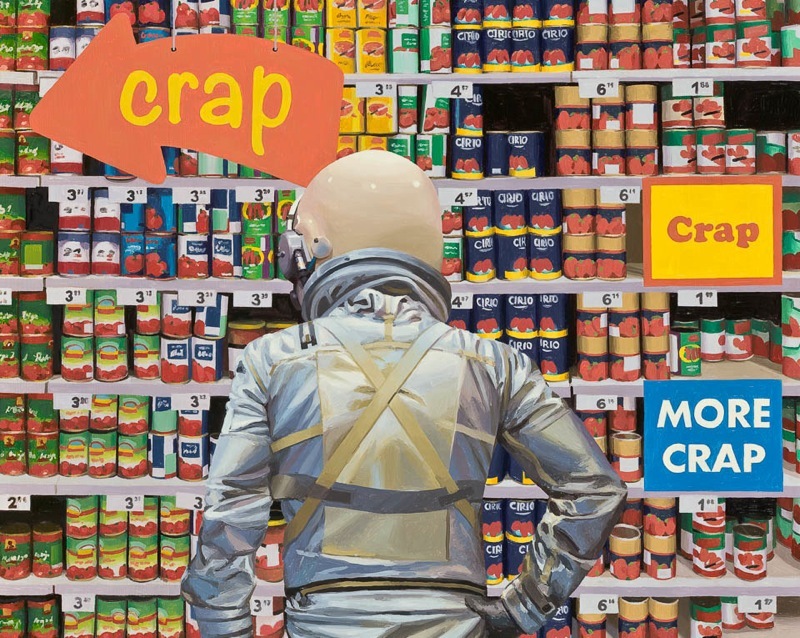 1976, Boston, MA) is known for his paintings featuring a lone exploratory astronaut lost in a landscape cluttered with pop culture icons, corporate logos, and tongue-in-cheek science fiction references. 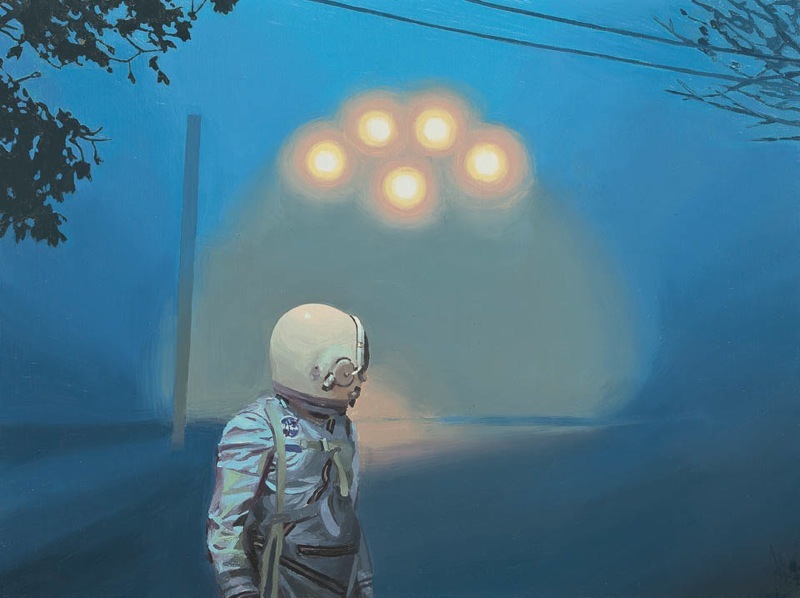 Scott studied art at Dartmouth College, for which his parents have finally forgiven him. 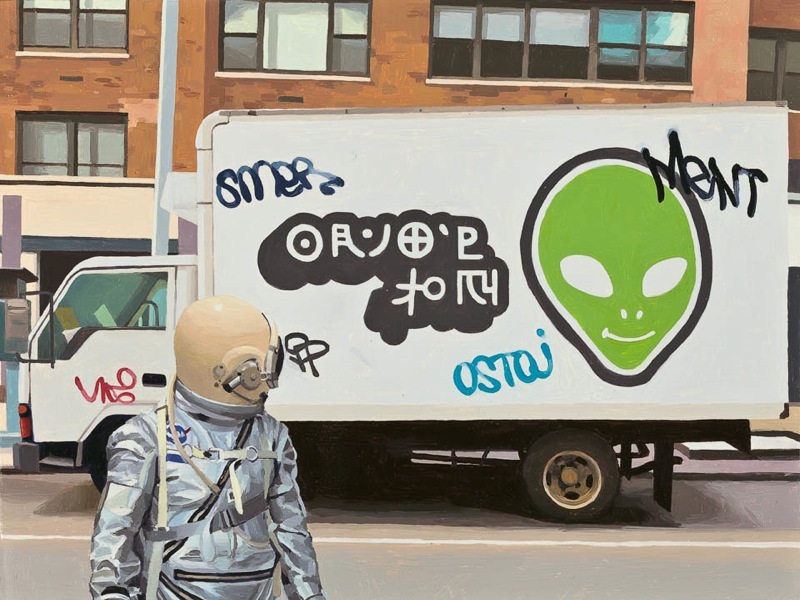 After some time spent abroad, Scott returned to America where, a little bit before the year 2001, he began painting astronauts and, sometimes, dinosaurs. 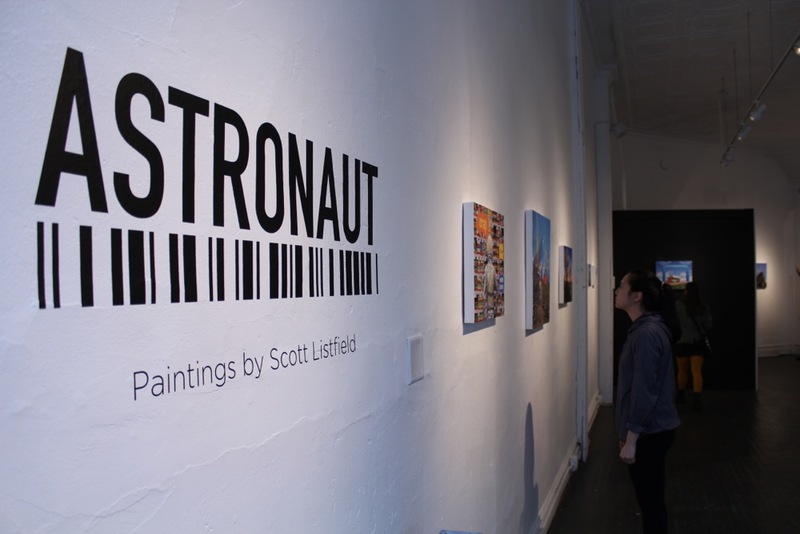 Scott has been profiled in Wired Magazine, the Boston Globe, and on WBZ-TV Boston. 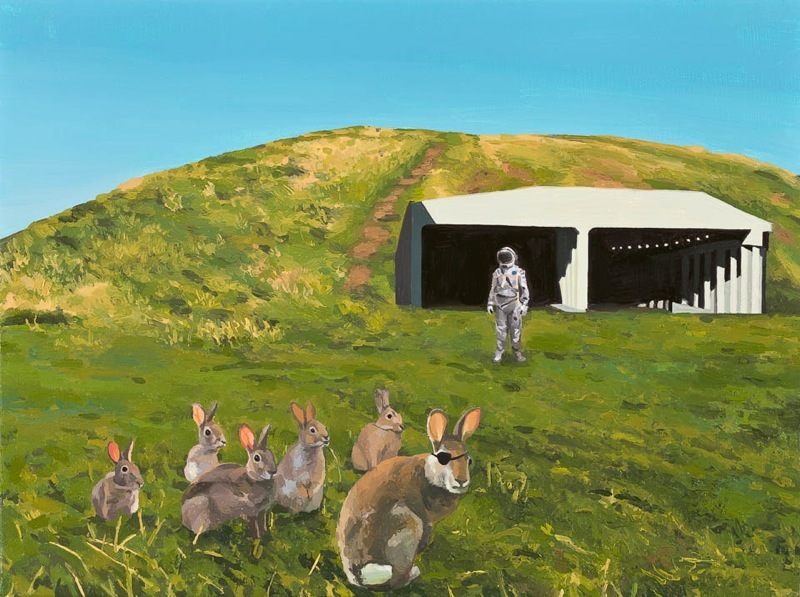 His work has also appeared in New American Paintings and Surface Magazine. 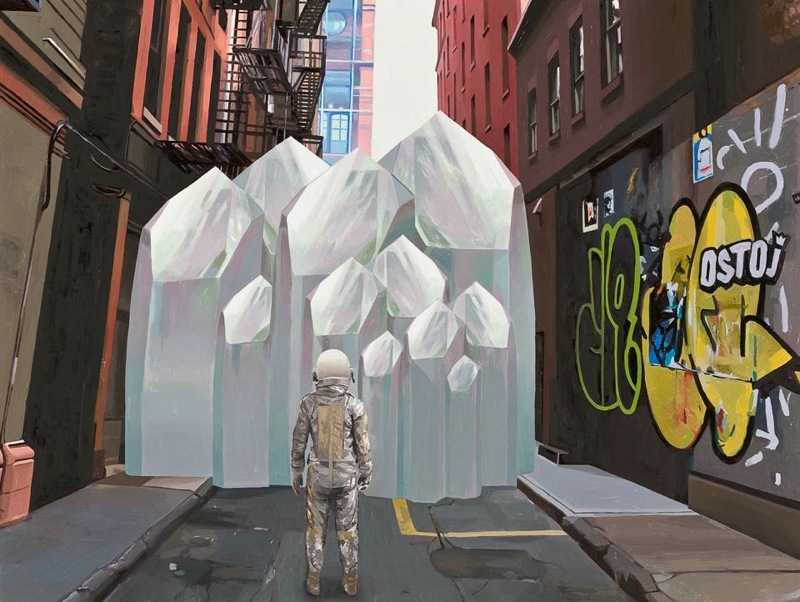 In 2010 he was named a Massachusetts Cultural Council Grant finalist, and was the official artist of 2011 Boston First Night. 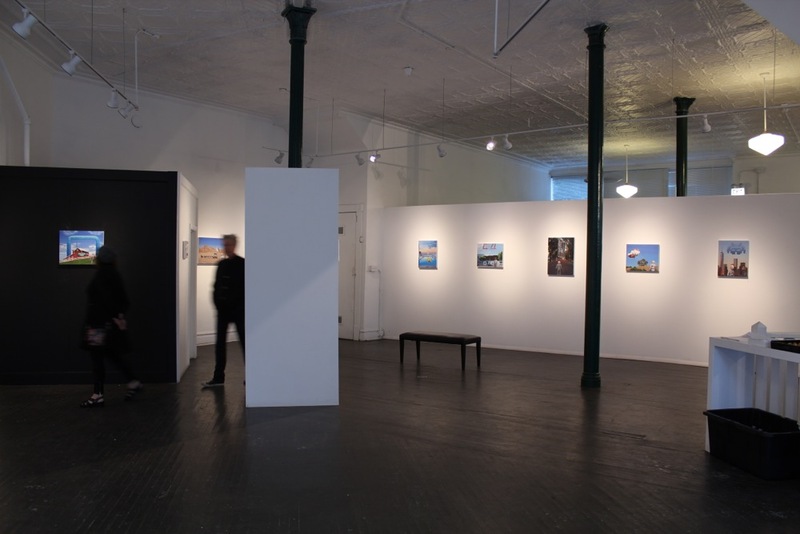 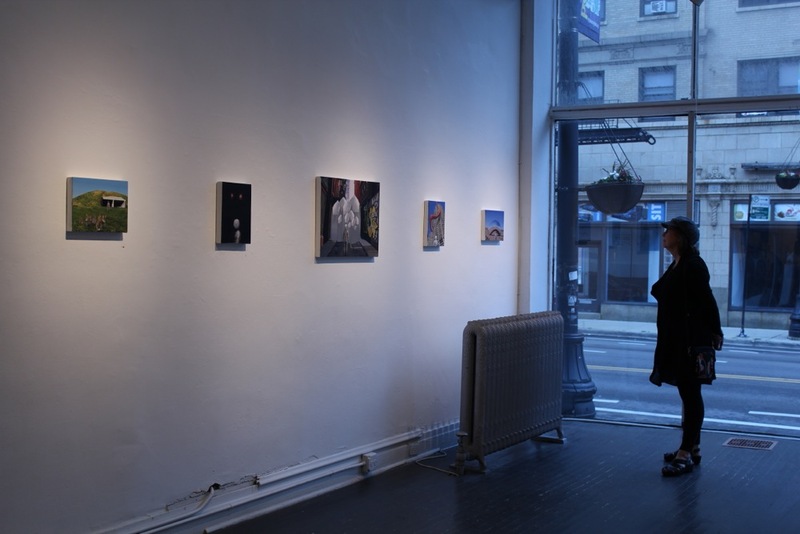 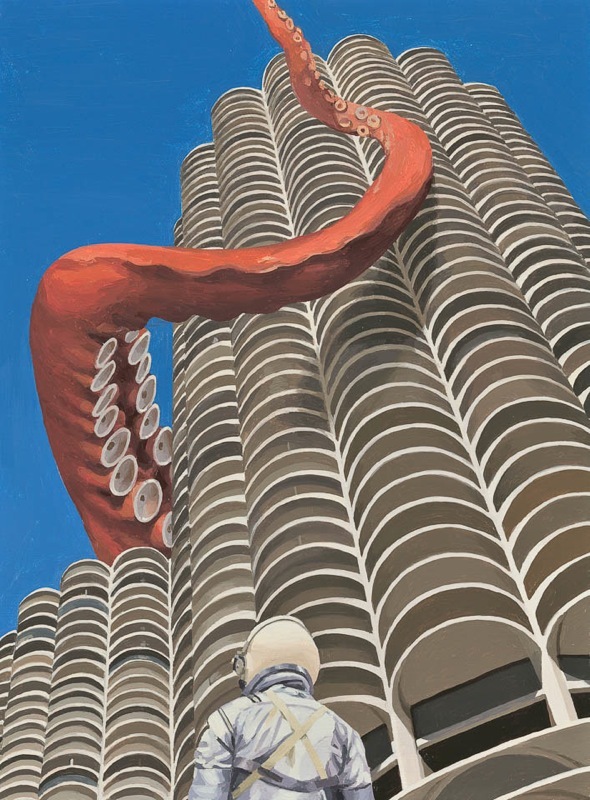 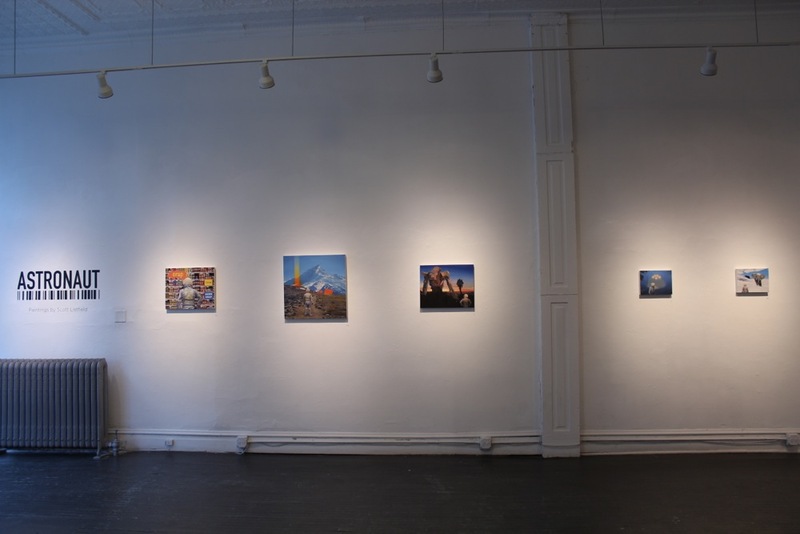 He has exhibited his work in Los Angeles, New York, San Francisco, Miami, Boston, and many other nice places.